Today is Friday – I have a children’s book review to add to the Perfect Picture Book resource list that author Susanna Leonard Hill is building on her blog. For more wonderful reviews from authors, educators and others who contributed today, please go here. We’ve been so busy with our move, the fact that it is National Bullying Prevention Month almost got past me. We read tragic stories in the media about kids who suffer from bullying so much, they can think of no other option but to take their own lives. 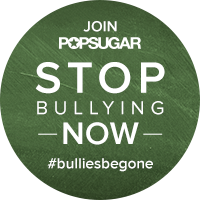 The campaign to prevent bullying starts with each one of us. What will you do to help? One of the things I do is to encourage parents to help their young children develop strong positive self-esteem. Kids who believe they are valuable and worthwhile are much less likely to be bullied. Spending time with your children, whether you are reading, crafting, cooking or simply having a conversation with them, is an important way. Please check out my award-winning parent/teacher resource for quick and easy activities that are fun for the entire family. Another important element in building self-esteem is feeling loved and accepted. One of the stories on my grandson’s bookshelf is all about this. From Amazon: “In this soothing love story between mother and child, Mama Bear offers various vessels to contain their love while they are apart–but none seem right. 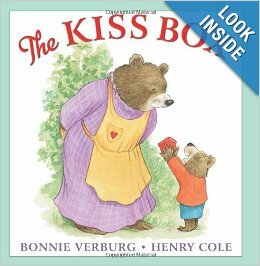 It’s not until Little Bear suggests that they make each other a Kiss Box–filled with a hundred kisses–that they are able to stay connected–no matter where they are. Make a kiss box with your child. You will need: small cardboard or wooden box, construction paper, markers, glue, scissors. You can find detailed instructions at the FaveCrafts link above. NEW AND EXCITING BLOG SERIES COMING TOMORROW!!!! Tomorrow, Saturday, October 17, award-winning children’s author Iza Trapani will lead off this exciting and educational series on Picture Books Help Kids Soar! I’m thrilled to share Iza’s wonderful answers to the five questions I asked her. And you will be excited to try the yummy recipe she contributed. I hope you will all stop by and then share the links so others can enjoy the interviews as well. 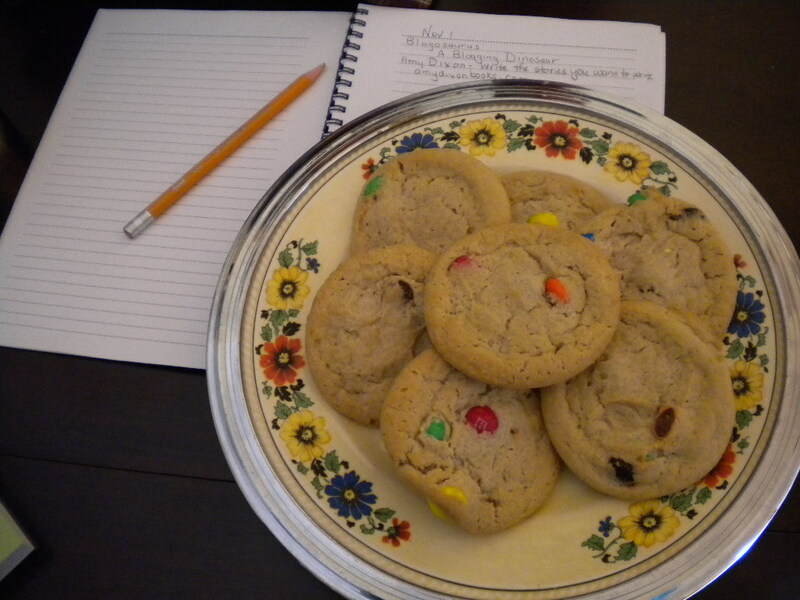 The blog project will become a book containing a baker’s dozen of these interviews and recipes. If you are an author and/or illustrator of picture books and you would like to participate, please email me at viviankirkfield@gmail.com. This entry was posted in National Bullying Prevention Month, Perfect Picture Book Friday and tagged Author Bonnie Verburg, Illustrator Henry Cole, Make a kiss box craft, National Bullying Prevention Month, picture book review, Susanna Leonard Hill, The Kiss Box by viviankirkfield. Bookmark the permalink. What a sweet little book, Vivian! We forget about toddlers with separation anxiety. . .good one. Audrey Penn’s The Kissing Hand is the book I think of on this theme. I’m interested to get The Kissing Box and see how they compare. Gets me singing, Tomorrow, tomorrow I love ya, tomorrow! I’m a Cole fan too, so I’ll be looking for this, despite the adorable idea of a box for kisses! FYI, it snowed here last night! Lucky you! Must be wonderful for peeping! This such a lovely, sweet book Vivian that would be a comforting bedtime read. I love your choice and the idea of a kiss box. And, am happy you’re still promoting bullying month. I listened to an interview this morning on the Today Show about mean girls and the pressure girls feel. Bullying is very prevelant among girls and increasing. I mentioned a book “Means Girls” in a review I wrote about bullying a couple of years ago. The book was designed to help parents work with their little girls at an early age. It’s so hard for parents to strike that perfect balance between encouraging girls to be assertive…and helping them to be kind and caring. Sometimes, assertive become aggressive. For me, it all comes back to empowering kids and helping them to feel good about themselves…then they don’t have to step on others to feel better. I know you are always raising awareness of these issues, Pat…you are a very special lady! I must have read The Kissing Hand but I don’t remember. It’s heartbreaking children giving up. I think resilience is something they all need to prioritise. Great choice, Vivian. You are right about resilience, Catherine! A skill that needs strengthening, for sure. :) Glad you liked the book choice. Sweet, sweet, sweet, and I love the idea of making one’s own kissing box. The new series sounds stellar! Thanks for the encouragement about the series, Joanna! I think it will be really helpful to lots of people…and fun as well. :) There are a couple of similar books out there on the same topic…but all are of value! My sons could use this next time I attend a writing conference! Thanks! This book looks so sweet, Vivian! It reminds me of The Kissing Hand 🙂 And I am looking forward to your new series!!! It’s amazing how many very similar books there are, Susanna…four that I can think of in a second. :) Important topic means lots of people writing about it, I guess. Thanks for the encouragement…I’m excited about the series! And thank you so much for hopping on board! That kiss box craft is adorable! What a great idea for storing up love when Mama has to be away. Thanks Vivian. Thanks, Kirsten…glad you liked the kiss box…and it could be used for so many different holidays. Excellent words about bullying, Vivian. I am so grateful that you wrote this post. The book sounds lovely, too. I love the idea of making a box full of kisses. Another book by Henry Cole. Yipee! And paired with the kiss box, this book is hard to resist. Thanks. And I look forward to the list of interviews. Thanks, Stacy! So glad you liked them. I’ve got to get over to read all of the entries in PPBF…but the day was a total ‘Jeremy’ one…a little friend’s Bday party in the morning…then to the library to get him a library card for Amherst…then to soccer practice and game…then home to dinner…and now we are ‘babysitting’ till tomorrow afternoon so our daughter can have a night off. 🙂 So much fun…but time-consuming. :) Jeremy helped me make pumpkin cupcakes tonight…we’ll frost them in the morning. This looks like a good one! I’m not familiar with Ms Verburg, but I love Mr Cole!!! And I can sure relate to the topic! I’ll have to check this one out! Sounds like you are enjoying your Granma time! Thanks for all the fun ideas with kisses and hugs. Oh, I read this book to my kids a few years ago and we all really liked it! This is Julia from FaveCrafts. I just wanted to stop by and say thanks for linking to our tutorial. So glad you were able to find a project that fits with the book. Thanks again!